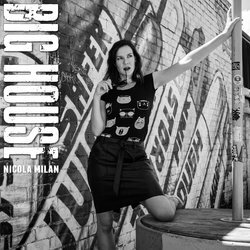 Trip hop infused jazz artist Nicola Milan performs a riotous blend of jazz, blues, soul and swing mixed with modern grooves and electronic elements, wrapped in silky vocals. Sounding like Caro Emerald meets The Cat Empire, Miss Milan transports you back to a dark and salacious time when cabarets were smoky, dangerous and filled with underworld mobsters, dirty martinis, and deadly women. With songs about lust, love and temptation, Milan's music takes influence from notorious characters throughout history, movies from the Golden Era and parties straight from the Roaring Twenties. Milan returned to the sunny shores of Perth after a year performing abroad in London and has released her new single 'Big House' in 2018 and is recording a full length album in 2019. Signed to ORiGiN Music Publishing Australia, Nicola also illustrates aristocratic Gothic/Steampunk characters , is an award winning cartoonist, co-wrote and illustrated her hillarious book 'Monster-in-Law: A Survival Guide' , blogs about things that go bump in the night, and shares cover music videos and vlogs on her YouTube Channel. An upbeat, horn driven, soulful jazz-pop track about a very naughty man and a whole lotta love.